Manage customer return process including problem solving process. Provide follow-up on all customer failure analyses, communication and issue resolution at all levels. Act as customer advocate for product quality. This includes customer and internal management communications and presentations, for customer and internal quality reviews. Customer interaction and negotiation on quality cases solving. • Interface with internal and external factories on reliability and quality issues. • Lead product teams, factories, and associated support through quality issue resolution process. • Support customers with technical reliability and quality consult. • Work with customers to address product reliability and quality issues. • Coordinate and/or Participate in the Change Action Board (CAB). • Participate in Material Review Boards (MRB). Bachelor Degree or above in Electrical Engineering. Demonstrated data analysis and problem solving skills. Ability to resolve complex customer issues and lead cross-functional teams. Strong written and verbal communication and presentation skills and ability to influence others. Process control and other six sigma tools knowledge. Flexibility to adjust to change and multiple ongoing issues in a fast-paced, customer-focused environment. Ability to work independent of management with leadership skills. Application Engineering experience would be an advantage. 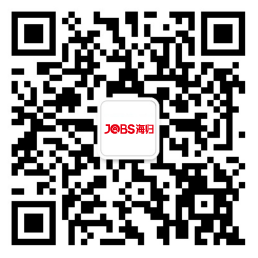 Overseas education and/or working experience in Product or Process Engineering are preferred.